What will you be doing in 2080? As a result meaningful policy in the face of Anthropogenic Global Warming (AGW) needs to recognise the uncertainties that exist. Problems in successful climate prediction are created by the non-linear nature of climate response, uncertainties in the emissions trajectory that are followed, and the role of feedbacks in the climate system. As a result, we believe that integrated assessments should be made through the process of risk assessment and disaster prevention1. One significant issue is the timescale over which AGW occurs. There are problems with how time is imagined in the future, and the issue of delivering policy options to deal with a problem that might not have policy relevance until the 2080s. As a result, the inability to grasp the concept of time beyond our own lifetimes hinders responses to climate change and requires a closer look at the long-term concept of climate change2. The Adaptation Sub-Committee (ASC) of the Committee on Climate Change has been asked by the Government to lead the next UK Climate Change Risk Assessment (CCRA). The summary comprehensively provides startling predictions for the 2080s. By the 2080s, with a 4° warming, with no population growth, it predicts annual costs for flood damages to be £2.8bn. In January this year, experts told the Environmental Audit Committee3 , that the government were going to be building “20,000 houses a year at risk of flooding, 4000 at significant risk”. Under the Flood and Water Management Act4 the Sustainable Drainage Systems (SUDs) approval process was going to be closely linked to the planning process. 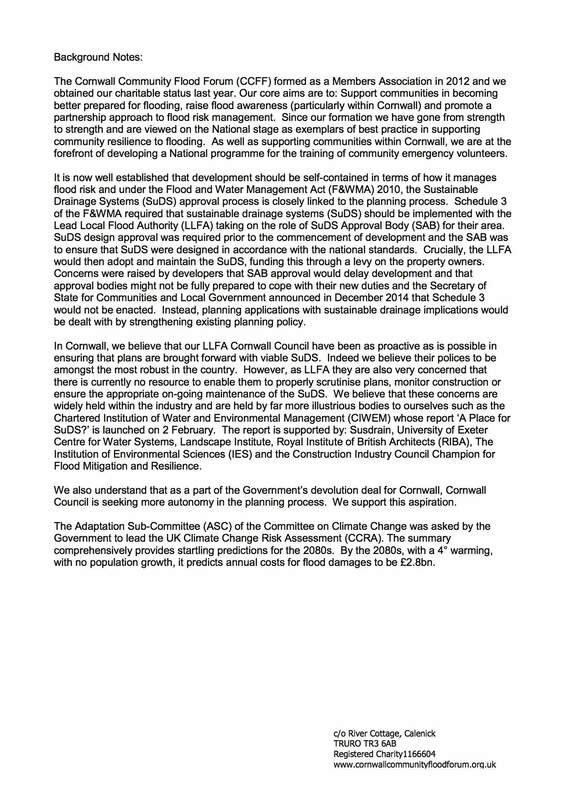 Once commenced, the Act would have required that future construction which has drainage implications will not be able to take place until approval of the drainage system has been given by the SUDs Approving Body. It would have been the role of the newly established SUDs Approving Body (SAB), to approve, inspect, adopt and maintain sustainable drainage systems for new developments exceeding one property. On the 18th December (2014) Mr Eric Pickles5 (formerly The Secretary of State for Communities and Local Government) from 6 April 2015, declared local planning authorities should consult the relevant lead local flood authority on the management of surface water; satisfy themselves that the proposed minimum standards of operation are appropriate and ensure through the use of planning conditions or planning obligations that there are clear arrangements in place for ongoing maintenance over the lifetime of the development. The sustainable drainage system should be designed to ensure that the maintenance and operation requirements are economically proportionate. The question is how does the local authority/government expect to pay if the SUDs management company ceases to exist? Funding of SABs is one of the many issues that might have contributed to the ‘Pickles U-Turn’. The CCRA predicts damages costs, that could be better defined, for the nearer term, also stimulating the much needed focus on funding and mitigation required. A clear problem is understanding the baseline variability in climate change and climate impacts. For example, it is not possible to assess the magnitude of a 1:300 year flood event when we only have around 50 years of river gauge data on average in the UK. As a result, our long term perspective on climate impacts is poor, and certainly not detailed enough to build a resilient climate policy. More research on climate variability is therefore needed to provide policymakers with the insight required to drive adaptation. What is the difference between the cost of running a SAB and the local costs for failed SUDs? 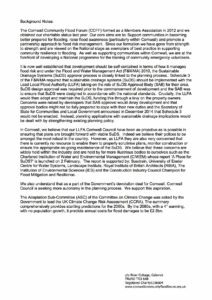 Click above to hear a BBC Radio Cornwall Article with Martyn Alvey from Cornwall Flood Forum, Dave Watkins from Cornwall Council and later joined by Daniel Johns Head of Adaptation for the Committee on Climate Change (below), November 3rd 2015. Today the Chartered Institution of Water and Environmental Management (CIWEM) launched their report: A Place for SuDS? Is launched on 2 February. 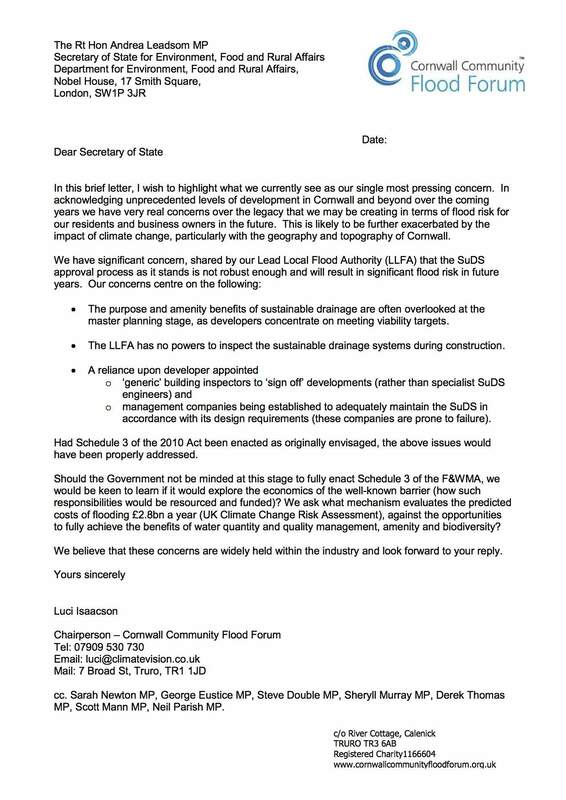 The report is supported by Susdrain, University of Exeter Centre for Water Systems, Landscape Institute, Royal Institute of British Architects (RIBA), The Institution of Environmental Sciences (IES), the Construction Industry Council Champion for Flood Mitigation and Resilience and Cornwall Community Flood Forum. 1. Discharge of surface water to the sewer system should be conditional on the inclusion rst of high-quality SuDS in new developments. 2. A clear decision must be taken with regard to the adoption and allocation of maintenance responsibilities for SuDS. This should have a clear and established mechanism for raising funds to ensure the continued effective maintenance and eventual replacement of all SuDS they adopt. 3. New standards are developed aimed at optimising opportunity to achieve amenity, biodiversity and water quality bene ts as well as ood risk reduction. These should reflect the needs of the adopting authority so that they can set out an approval process and adopt with confidence. 4. The Government should undertake a follow up review of the barriers to retro tting SuDS in existing developments and make proposals on how retro tting might be incentivised. Should the Government not me minded at this stage to fully enact Schedule 3 of the F&WMA, we would be keen to learn if it would explore the economics of the well-known barrier (how such responsibilities would be resourced and funded)? We ask what mechanism evaluates the predicted costs of flooding £2.8bn a year (UK Climate Change Risk Assessment), against the opportunities to fully achieve the benefits of water quantity and quality management, amenity and biodiversity? 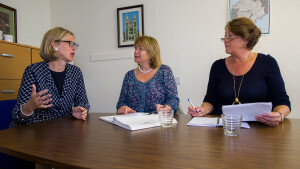 *Read here to find out about today’s activity and responses in the House of Lords https://www.facebook.com/Cornwall-Community-Flood-Forum-138227699676198/ the letter Luci Isaacson MSc has written as Chair of Cornwall Community Flood Forum to the Secretary of State and notes on the debate there today (in the comments). Martyn Alvey CCFF explains the report, Suds and how they effect Truro. Paul Thomas Fowey Harbour Master described the need to be resilient on standby to use the Fowey Flood Barrier. 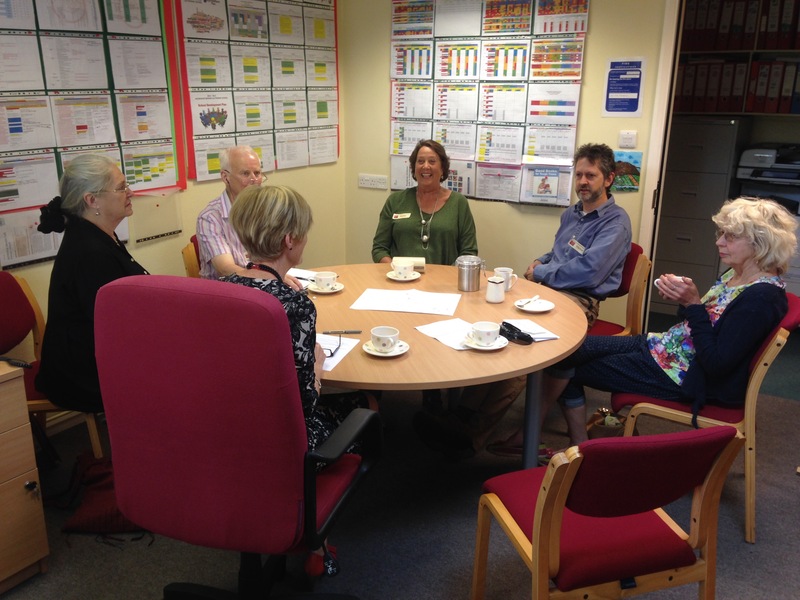 “Irene” from Wadebridge enjoys telling Laurence about the flood work there to create a dam and utilise wetland sustainable drainage already in place. Rial, J.A., Pielke, R.A., Sr., Beniston, M., Claussen, M., Canadell, J., Cox, P., Held, H., de Noblet-Ducoudé, N., Prinn, R., Reynolds, J.F. and Salas, J.D. (2004). Nonlinearities, feedbacks and critical thresholds within the Earth’s climate system. Climatic Change, 65, 11-38. Brace, C. & Geoghegan, H. Human geographies of climate change: Landscape, temporality, and lay knowledges. Prog. Human Geogr. 35, 284–302 (2011). Please do share the link to this post with your friends. What an amazing bunch of fellas cycling from Truro to Paris?! What an amazing bunch who funded the Carbon Logic Project and Report!! Of course you remember the amazing work that Luci did with the Footsteps programme and the Pledges you probably all signed and the team with Oliver taking a pilot gig to the canals of Copenhagen. And you remember the disappointment with the outcome. But it wasn’t the end. Five years on and COP21 is in Paris next month, again governments around the world attempt to find a way forward – at least they are still trying. Meanwhile, as some of you know, Luci has been busy. Under the banner of Climate Vision she has followed up on those pledges and showed an amazing result. A report documenting it has been produced and this needs to get to delegates in Paris to show that not only are people, specifically 4000+ people in Cornwall, prepared to make changes in their lifestyles, but these changes come at remarkably low personal and economic cost. Governments need to know this. They need to know that their citizens can to motivated if they would only offer leadership. And that is why we must get the report in the hands of Environment Ministers, MEPs and delegates who are swarming to Paris. Luci has not rested – she is firing up contacts and making appointments in Paris – we are going to do the legwork for her. “We” is Euan McPhee from Falmouth, Roger CO from Launceston, Ricky Knight from Barnstaple and Ewan Jones from Bruton. We are going to carry the report to Paris by cycle and meet the representatives there. And along the way in every town we stop in we are meeting people, distributing the pledge cards, explaining to people why what happens in Paris is important and what they can do matters whatever the outcome. Euan and Roger depart from the steps of Truro Cathedral at 11am on Tuesday 17th November – can you be there to see us off? Would you like to bring a bike and join us for a mile or two along the way? We will be in Wadebridge that evening of 17th – come and join us in the Molesworth Arms, or in Liskeard the following evening in the Barley Sheaf. Or get to Saltash for another crossing of the bridge on Thursday 19th – this time a mass of bicycles setting off from Fore Street at 4:30pm to ride into Plymouth for a departure rally before we board the ferry. Or simply help us on the way by supporting our Crowdfunder to pay for rooms to hold meetings in, events to set up, places to stay, and all the other 1001 things that have come up to add value to every turn of our pedals. For full details see our website http://pedal2paris.uk – there’s a blog and details of the events are being posted as they get firmed up. Please do forward the details and links on to anyone you know in Cornwall who might be interested in what we are doing. Please share the Facebook page and website. And if perchance you have any contacts in Normandy (from Avranches to Rouen via Saint Lo, Caen and Honfleur) we are looking for more contacts in those places. Many thanks for your time, I hope you are all still well and not too many of these 5 year old email addresses have expired! Write to your MP. 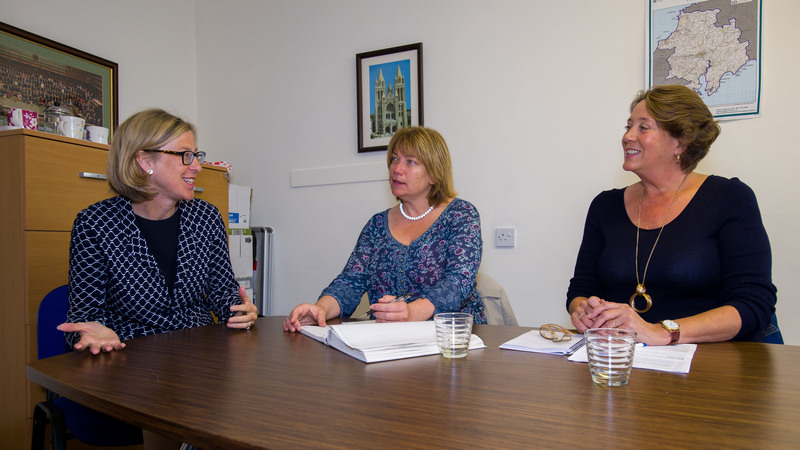 We are really pleased to say that with the help of one of the Carbon Ambassadors, Sarah Newton MP has agreed to do the 10 Pledges. You can read about it and see the pictures by going to the main page, scroll down to Ambassadors Pledge 3 & 4 Results. Ask them (or copy and paste the following sentence) to ‘Please follow Sarah Newton MP and enjoy doing the carbon cutting Ten Pledges, alongside the busy Carbon Ambassadors who have set aside a little time in their busy worlds to cut carbon’. Timing is really appropriate right now. If Sarah Newton is your MP, maybe you could send a positive message about this. We would like to turn the ten pledges into something useful, funky, something like a kitchen sign or gift – a great idea from one of the Ambassadors. If you know of anyone who might help design it for free and a commercial potential partner to make/distribute, please do feel free to make introductions! Start doing the pledges! 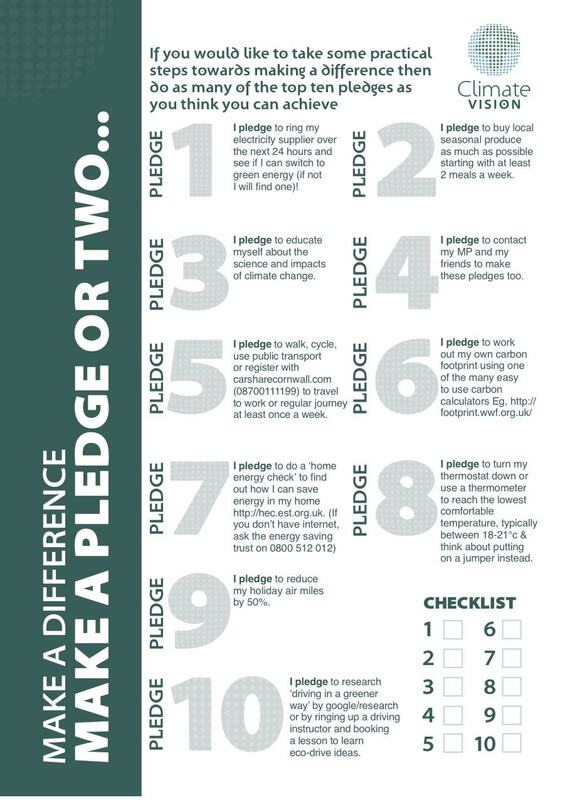 If you have already – invite people you know friends or those in authority to get involved and do the pledges too. Get them to click in the box when they make a pledge. Carbon Logic Results are out! We’ve finished the data analysis. 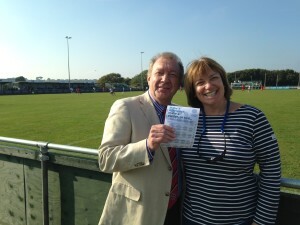 I have to say we are delighted, the result is much better than we thought! Cost per tonne to cut carbon = £1.98! Footsteps to Copenhagen started in 2009, Truro Cathedral asked me to mobilise the people of Cornwall to cut carbon. The 2010 research asked why people made the pledges. They said trusted messengers asked them to, it was colourful and fun – but most of all easy. In 2015 we Crowdfunded for expenses to do the data analysis to ask how much carbon did we cut and breathe life into the pledges again through the Carbon logic Campaign. o Based on 65 people answering the 2015 survey, who took part in 2009, then scaling those responses up to the 993 we have evidence of pledging, we have cut 3029 tonnes of carbon since 2009.
o The 2009 project cost £6k. 3 Pledges could not be accounted for, the 2015 report finds the cost per tonne of carbon to cut as £1.98. 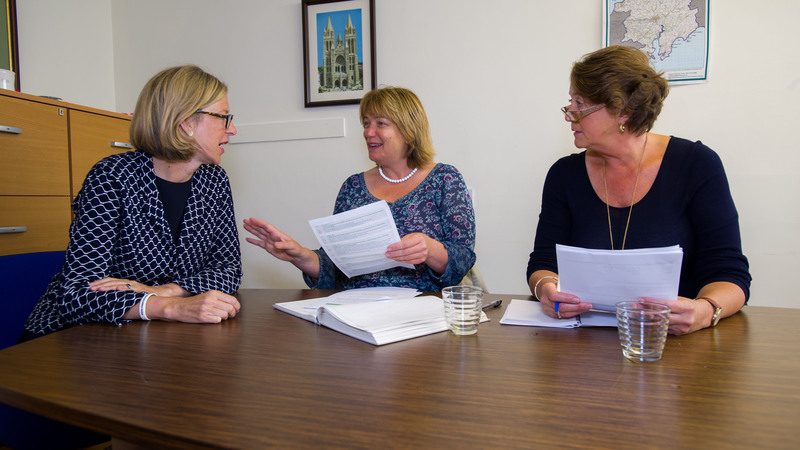 For us we want to enable policy makers to realise the value in behavioural change policy, not only added value in our pledges, but the value of working through with people and tricky policy making. Behavioural change policy is a challenge as people are ‘messy’ we all reposed in different ways, but having looked at behavioural change research in a big way in 2009, the 10 Pledges were devised to accommodate all our funny little ways, our different financial back grounds, upbringing, surroundings and find ways to make them colourful, easy and doable! COP21 delegates are largely government representatives, who already know their position. It’s a huge and diverse audience which I think you would struggle to have any impact on, to be honest. There is also traditionally a vast amount of related material pushed out around COP, and there’s a danger that output will be overlooked in the stramash. Agreed, Euan McPhee is voluntarily cycling from Truro in Cornwall to COP21 in Paris November 17th and he is taking copies of the report with him. He will hand out the Top Ten Pledges on a card to people he meets en route (we are looking for sponsorship to print the cards). 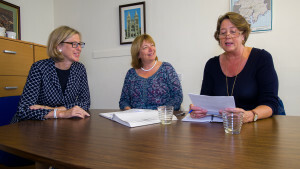 What sort of scale are you looking at – local, national, European, international? We would like to roll out the project across the South West, throughout the UK and to our neighbours. Footsteps 2009 is easily replicable, with the right Steering Group (Trusted Messengers), we just need funding to cut carbon – to organise next a way of making it sustainable. It could pay for itself, the power companies that benefit from Pledge 1 or the shops from Pledge 2. This is more work that requires funding. Or we source funding from those who seek to cut carbon – £1.98 a tonne is of course extremely efficient. 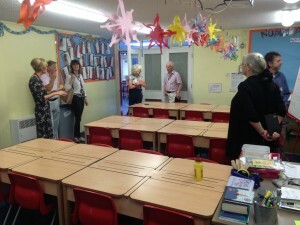 Signposting and introductions are welcome. In addition some of these behaviour changes (e.g. active transport) will have health co-benefits: a more active population is a more healthy population, and of course less car miles means less local air pollution – this will mean savings to the NHS Thank you – I’m sending the report to The Rt Hon Jeremy Hunt MP now, I have asked him to comment and invited him to do the Top Ten Pledges too. We meet with my own MP tomorrow morning to ask her to do the 10 Pledges too. Carbon capture and storage is unproven, no large scale demonstration has been carried out, also potential large safety questions; Thank you, we did spend quite a bit of time during our literature review seeking a consensus of opinion, but found a great deal of uncertainty in time scales, costs and abilities. While it is clear many believe having this volume of carbon dealt with is essential, I hope our 4 month set up enabling over 3000 tonnes to be cut over 6 years enables policy makers to do something with this model. The government’s climate change mitigation policies are a mess This is the most common message we hear. We do understand how complicated it all seems to those tasked with the job, who might not have a natural interest, but really hope by demonstrating this example they might take the opportunity to realise the benefits. For them it comes down to cost, £1.98 per tonne of carbon to cut. For us its how easy is it what the benefits to me. This Carbon Logic Project has ticked both of those boxes. We hope everyone involved will at least ask one person in authority to adopt the pledges and DO something with them. Will you be producing materials for people to use in their own communities? We aim to direct people to http://www.trurocathedral.org.uk/hot-topics/top-ten.php via our website, Facebook and twitter. We hope others will also do the same. We aim to create Top Ten Pledges items to gift and display for the home and workplace to build it into every day lives to provide a good route map for living – this is one of Carbon Ambassadors great ideas! As countries negotiate a new climate agreement for the Paris climate summit in December 2015, a groundswell of climate actions is emerging as cities, regions, businesses, and civil society groups act on mitigation and adaptation, independently, with each other and with national governments and international organizations. The Paris summit provides a historic opportunity to develop a framework to catalyze, support, and steer these initiatives. Without such a framework, “bottom-up” governance runs the risk of failing to deliver meaningful results. Social science research highlights the need for a comprehensive approach that promotes ambition, experimentation and accountability, and avoids unnecessary overlaps. This article specifies functions and design principles for a new, comprehensive framework for sub- and nonstate climate actions that could provide effective coordination. “It’s fantastic news to hear that Sarah Newton chosen to take on the carbon cutting pledges. It’s promising to hear about local MP’s engaging on a personal level with the issues of climate change. 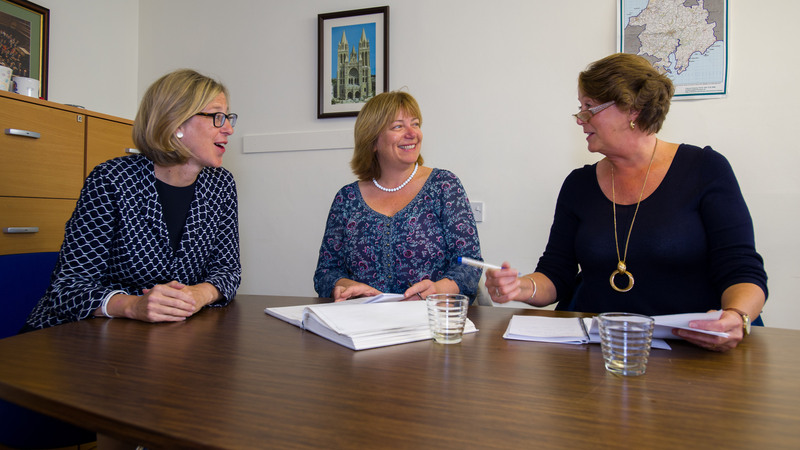 Individuals making achievable changes on a daily basis really can make an impact, especially as our clean energy industry is under such enormous threat right now. 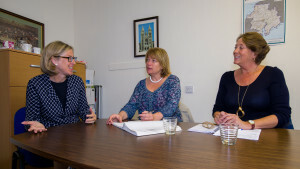 “It was good to meet with Sarah Newton MP and to learn that she has been following the project and has already completed a number of pledges and intends to complete them all within the Ambassador’s timeframe. We were able to stress to her the importance of carbon cutting at both the domestic and industrial level, but also the need for this topic to remain high on the government’s agenda. It is a conversation we need to keep on with and have been invited to do so with Sarah again soon. “We often get told don’t look back look forward the future is what is important. True, but we can learn from what went before and it helps inform and shape out future behaviour and choices. Local knowledge is important. However if we don’t record that knowledge then it’s easily lost. In planning terms during the particularly heavy rainfall of November and December of 2012 Springs and watercourses that had long disappeared generations ago emerged. But, their courses have been built on, walls blocked their way and in a steep sided valley like Looe water will inevitably find its way relentlessly to the river and sea, it’s underground passage largely unseen. These long lost springs with the water table so high manifested themselves on Hannafore Lane, West Looe under a wall and bank that became so waterlogged it gave way, blocking access to Hannafore which caused great anxiety and distress for residents as this was the only access road. If we had retained this knowledge would we have allowed development in this area? 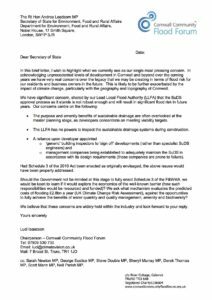 Would Polperro have built a car park over the River Pol flood plain if it had known the consequences would be devastating floods in the village, not once but twice, a fatality and subsequently a multi-million pound flood alleviation scheme. We need to have better understanding of the role a piece of land plays both socially, economically and most importantly environmentally. I not saying there should be no car park as it contributes to the vitality of the village as a tourist location, but it might have been designed differently. Recording this information and reminiscences is not only cathartic for the individual but useful for the community in its development decisions, as we adapt to climate change. I’m not sure how well she read the request as we weren’t asking her to sign any for a campaign just undertake the pledges. I also felt it strange that she sent me printed out pages from Government guidance about climate change when the fact I am concerned enough to undertake the challenge should have alerted to her that I may be quite informed already. “Another soggy August, and the fact that it wasn’t forecast, ensures that the weather is never far from our conversation. However, behind the eternal vagaries of the Cornish summer lie far more urgent and far-reaching issues. Our local climate is changing, as the research shows, but as a tiny part of a complex network of worldwide factors – caused, beyond doubt to some degree, by human behaviour. The most significant and life-threatening impacts of climate change, though, are felt by the poorest people on earth, and for me this is the main driver to want to make a difference. Huge swathes of the planet are turning to desert and are no longer usable for food-production, other places are destroyed by storms of (what appear to be unprecedented ferocity and frequency) and these factors lead to increasing drought, starvation, migration and social upheaval. The reading I have done in response to Pledge 3 has included some of the science, which appeals convincingly to our human reason to act now to do what we can to mitigate the effects of our actions, but also some from a Christian perspective, including Pope Francis’ encyclical “Laudato Si” which stresses human connectedness with all life on earth and urges all people to come together to prevent catastrophic global warming. “I have contacted George Eustice MP, awaiting response. “I have taken the liberty to post this on my LinkedIn page. I have over 600 + professional friends (world-wide) so your post has now gone global! This article describes the complex climate system responsible for the challenges we experience in the weather today. By understanding its chaotic behaviour, combined with human intervention, we are able to understand the struggle to provide the robust predictions people need to make changes in their lives. It is time to prepare for an unknown future and to discover that which is unknown, by empowering people to make decisions today about how to act for tomorrow. History and local knowledge are extremely useful tools. Interesting stories can take us back to our catchments, help us look at the land, how it once was, and how it has reacted to centuries of human occupation. They help us paint a picture of what it will look like in the future, and enable us to re-connect with it and connect others who have drifted far from interest in it. Placing ourselves in this better position helps us to make long term decisions, for ourselves and how we will adapt to the different climate we are experiencing now. We know we have to take action today, but we need to be better informed in order to be a part of that process, in charge of it ourselves. “I have read the article Climate Change and have read and absorbed various reports about the issue of climate change over the years. Of course I do not understand all the complex science and can see there are competing arguments. I do know that the presence of humans and our extraordinary ravenous appetite for using the earth’s resources are matters of real concern. I met with Luci on Saturday and I am happy to commit to the ten pledges. I am aiming to complete them by December. I agree with you that Climate Change is on the greatest challenges of our time. Pledge 3 was an interesting one – to research climate change, with a particular emphasis on resilience. A handy internet link was provided, to a peer-reviewed article written by organiser Luci Isaacson. However, as I am far from being Luci’s peer in this field, I struggled to grasp some of the complex ideas, especially as they were couched in terms unfamiliar to the layman. My efforts were not helped by the fact that I only really get chance to read when in bed (too tired) or when my daughter is playing (too noisy). A Google search for “climate change resilience” threw up a mixture of similar articles, and links to the websites of companies which I suspect had paid to come top of any search including the words “climate change”, and which were therefore not terribly useful. What I really needed was “climate change resilience for beginners/idiots”. I think I can just about sum it up: climate change resilience is the acknowledgement of the causes and effects of climate change, followed by adaptation to damage already done, and action to minimise future impact. While erecting a sea wall might have been enough a few decades ago, today we need a wider-reaching, joined-up approach. An article entitled “What does it mean to be climate resilient?” at www.rtcc.org was very helpful, offering interesting examples from around the world – for example, how rural communities in Africa are preparing for future global warming by choosing crops and livestock to withstand extreme weather, and how households in Jamaica are being encouraged to reinstate water butts to harvest rain during rare downpours. While browsing, I discovered a U.S. site containing some interesting statistics: 40% of greenhouse gases are produced by electricity use, compared with 30% from vehicle emissions and even less from big industry. It really drove home to me how the little things we do can make a big difference. That afternoon, I bought a waterproof timer for the shower – no more 15 minute showers. Better for my pocket, better for the planet. The planet will find ways of coping, but will we, with our rigid ways of living and working, fare so well? Will our structures survive? Another useful stat gleaned from my browsing session: sea temperature has risen by 1%, and if things don’t change, could increase by 4% over time, with catastrophic consequences. If we change our ways, we could limit the increase to a more manageable 2%. I firmly believe that we can make a considerable difference to our environment by making even small changes to our lifestyles, from shopping habits to energy usage around the home. 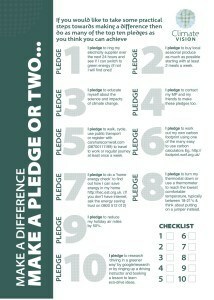 I can confirm that It takes a short time to carry out theses pledges. 1 Je m’engage à appeler mon fournisseur d’électricité après 24h afin de voir si je peux passer à l’énergie verte (si pas je trouve un moyen). 2 Je m’engage à acheter des produits de saison le plus possible, commencer par deux repas par semaine. 3 Je m’engage à me renseigner à propos de la science et les impacts du changement climatique en lisant des articles sur les changements du Climate Vision “changement climatique”. 4 Je m’engage à contacter les politiciens locaux et mes amis à faire de même. 5 Je m’engage à marcher, à prendre mon vélo et à utiliser les transports en commun le plus possible sur une journée pour travailler. 6 J’ai travaillé à l’extérieur de mon empreinte carbone et d’utiliser la plus facile des calculettes carbones et http://footprint.wwf.org.uk. 7 J’ai le gage de vérifier l’énergie de la maison afin de voir comment puis – je sauver l’énergie de ma maison. 8 J’ai le gage d’éteindre le thermostat ou de le diminuer dans le but d’avoir une température confortable entre 18-21°C et penser à mettre un vêtement plus chaud. 9 J’ai le gage de réduire mon voyage en vacances à 50%. 10 J’ai le gage de rechercher “conduire dans un environnement convivial” sur google ou appeler un instructeur de conduite ou apprendre quelques leçons à propos des idées conviviales environnementales. PLEDGE ONE: I pledge to ring my electricity supplier over the next 24 hours and see if I can switch to green energy (if not I will find one)! This pledge was a great starting point, and I’m really interested to know how others found it? We’ve been customers of Good Energy for many years, as choosing more renewable energy has always been important to us. When we made that choice, it definitely came at a higher cost than the cheapest options from the bigger suppliers; however, it’s far more competitive these days. I think if you’re fortunate enough to be in the position to make that choice, then it’s definitely an easy, affordable way to make a difference. However, it’s important to remember that, especially for the many people in fuel poverty, choosing an energy supplier comes down to who is the most affordable. There should be more emphasis on the suppliers taking the responsibility, and making it easy for people to choose affordable green energy tariffs. 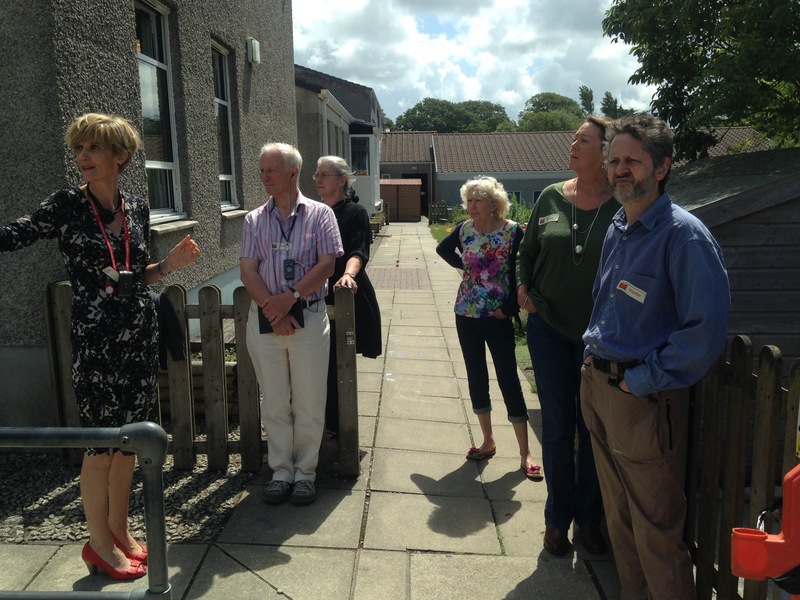 Schemes such as Community Energy Plus group energy switch are working hard to make that more accessible to people in Cornwall. The current energy market doesn’t make it easy for smaller more ethical energy companies to compete with the more established providers, and it will be interesting to see what happens in the review of the industry this year. 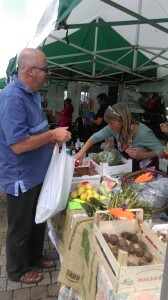 It would be great to see the market opening up to smaller suppliers and community generation. For anyone in a position to make more of a commitment, renewable energy is definitely a great choice. In his recent interview with Obama, David Attenborough highlighted the need to increase the take up of renewable energy and energy storage. We’re experiencing more and more interest from homeowners and businesses choosing renewable energy, which is really positive. We’ve also been developing energy storage right here in Cornwall, with a product called Wattstor, so it was great to hear David Attenborough sharing our enthusiasm for renewable energy and storage. 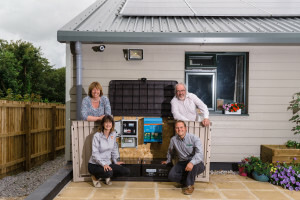 We’ve had lots of initial interest in Wattstor, so some homeowners in Cornwall are already leading the way and enjoying cheaper energy costs and future proofing themselves from an uncertain energy market. It’s a really positive time for cleaner, renewable energy, and switching to a more renewable tariff is a great place to start. ‘Solar PV and Wind energy systems are useless when the sun isn’t shining and the wind isn’t blowing’. They also generate their power at the ‘wrong time’. These criticisms are silenced by the addition of a Wattstor™. Affordable Renewable Energy storage will revolutionise energy provision nationally and globally (Germany introduced a subsidy scheme for energy storage on the 1st May 2013). Renewables systems efficiencies can be increased by as much as 300% and savings of 75% on imported power are achievable. Off grid conditions are available to Solar PV system owners in the summertime and those with wind power as well as Solar PV can be off grid all year round. Standby power/grid independence is also provided in the event of mains failure (brown outs and blackouts forecast by OFGEM in winter 2015/2016 arising from the delayed replacement of UK Power Station). The Wattstor™ Mission is to provide low cost, affordable and viable energy storage systems without the need for unreliable political subsidy consistent with high quality and business sustainability. It will develop and adapt its offerings in line with the certain future innovations in energy storage technology. Transmission of electricity via a creaking grid system is very inefficient. It is much better to generate locally, store locally and use locally – a Wattstor™ achieves this. If adopted nationwide, storage of Renewable and Grid energy surpluses for later use has the potential to make much of the grid and the power stations supplying it, redundant. We could be closing down Power stations rather than building new ones – especially the nuclear one the UK Government is planning to pay the French and the Chinese £20bn to build for us! “Running a business and juggling work with 2 young children means it’s not as easy as it used to be to shop local. When the children were small, I used to make a trip out of visiting the local farm shop, fishmonger and the green grocer, each of them choosing something to eat there and then or take home as a treat. I just don’t have time to do that anymore! We used to use People and Gardens veg bag, which is fantastic, but we’re too far away now. 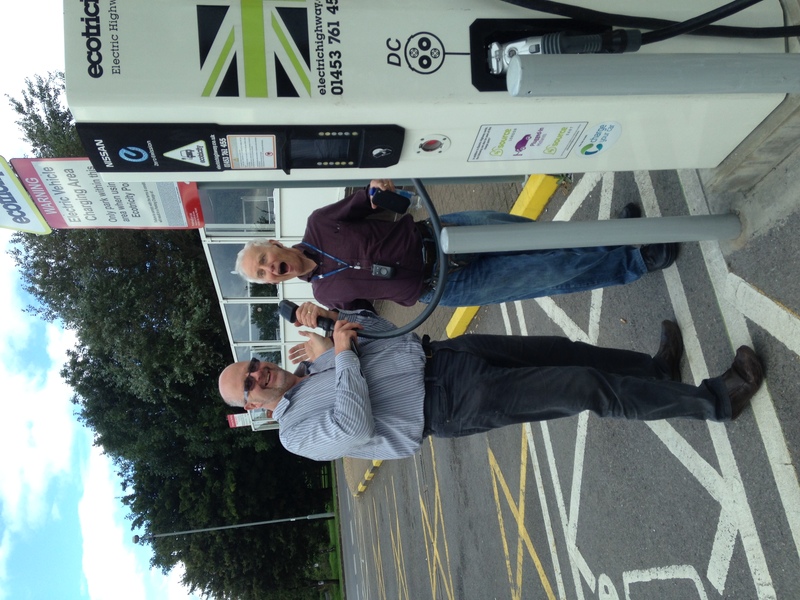 “My first pledge was to find out if my electricity supplier had a Green Tariff. How difficult could that be? However it turned out to be anything but simple. My supplier is British Gas. I have a dual fuel agreement with a £15 discount paying a unit rate of 13.460p per kWh and a standing charge of 26.000p per day. I logged into my online account and called British Gas asking them if they had a Green Tariff because I wanted to buy electricity that was sourced from renewable sources of generation. Initially the operative said, oh you want to fit solar panels? No! I want to know if you have a Green Tariff. “I can put you through to the insulation team” No I just want to know if you have a Green Tariff, who should I speak to? Every time I was put through to the ‘Green Team” I listened to green sleeves for 2 or 3 minutes then the phone went dead. Nothing! I rang again after negotiating the press 1 etc system and asked for the direct number of the mysterious Green Team. Same scenario, music then nada! Im very frustrated now. What should be a simple question to answer has proved to be so frustrating. Another operative seemed to be making sense, “I just go and check with my manager”. 15 minutes later, yes 15minutes and I was still no further forward. I made a final call venting my frustration and I thought I had someone who could help. She made the right noises but left me on the line for 10mins to find out the information I needed. That’s when I gave up. 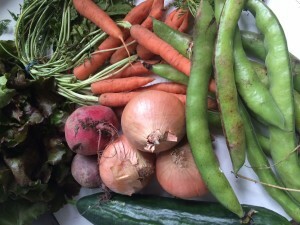 “My second challenge is to eat at least 2 meals from locally sourced and seasonal produce. I wanted to choose a meal that was fairly effortless to prepare and cook and not overtly expensive. This was not so much a challenge for me as I have delivered to my door a weekly Keveral Farm organic vegetable box which costs £8.00. I see the benefits of purchasing this box to be beyond the obvious; access to fresh local organic produce that encourages me to eat more healthily, but that it supports a collective of local growers and keeps my money circulating in the local economy. It saves food miles and avoids ‘leakage’, creating a more ‘circular’ local economy where money is spent supporting the local economy. It also keeps alive that link and understanding between where the food is grown and the consumer as well as adding a social dimension in the manner in which the Keveral farmers work collaboratively. Trerieve Organic Farm a supplier is also part of the higher level stewardship scheme and this week welcomed a group of school children from Polperro Primary School in my division. 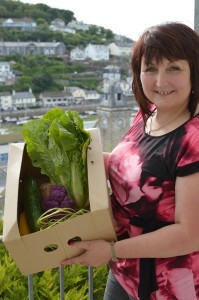 This week’s box contained Cornish new potatoes, beetroot, carrots, a cucumber, salad leaves and onions. However I’m still an omnivore and therefore I ventured to Quayside Fresh on East Looe Quay for some meat. We are lucky in that Philip Warrens at Oughs have a butchery counter here as well as Tamar Fruits green grocery and a range of delicatessen style cheeses, pickles and other treats. First to the butchery counter. 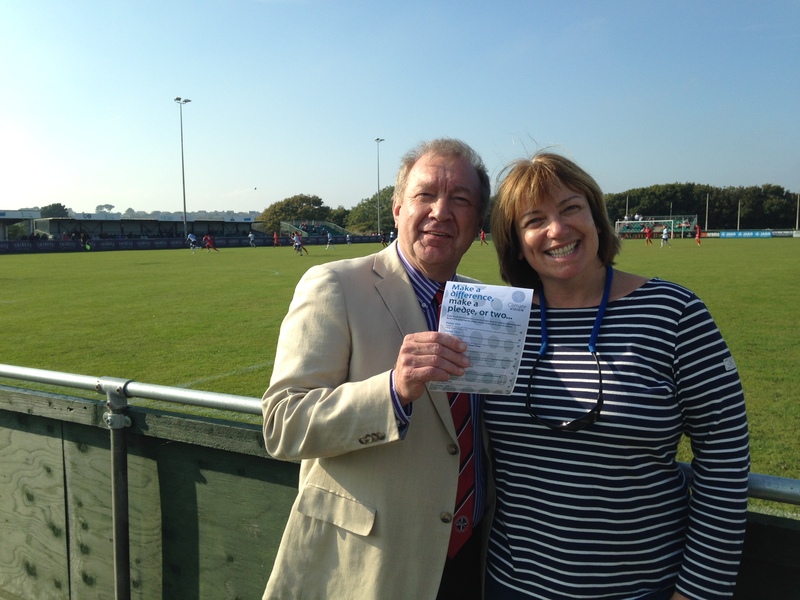 They were advertising Lanson sausages, Cornish bacon, South Devon burgers as well as chicken, beef and lamb. I quizzed the assistant as to where the meats came from as I spotted on one pack that the postcode was Exeter. He assured me that this was where their processing and distribution operation took place and that the animals from which this meat came from were indeed in Cornwall. The assistant was extremely helpful and talked about traceability, but I needed some reassurance so checked their website and emailed them asking for that reassurance which I duly received. It did get me thinking how much of what we purchase actually comes from where we think it comes from. 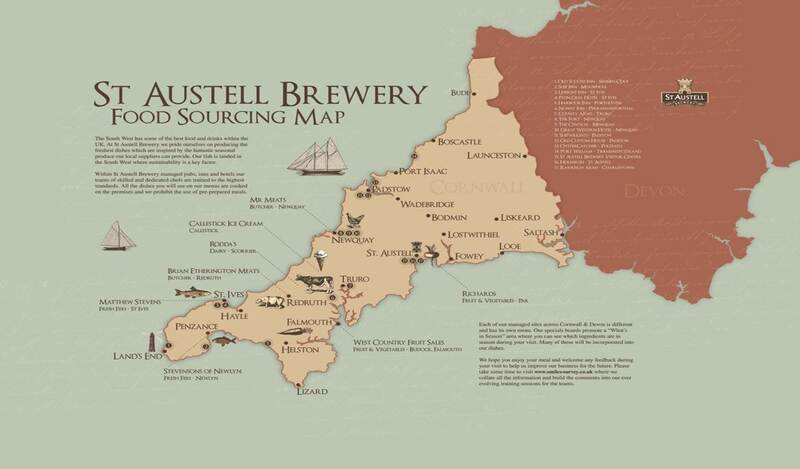 How easy is it for the consumer to check and be confident they are not purchasing something that is just packaged in Cornwall’s? For example it could be labelled Cornish when it’s produced miles away? Traceability is important as is the knowledge of the shop assistant. It’s up to us as consumers to challenge. 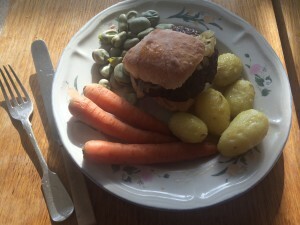 I had more luck with the South Devon beef burgers. Although the shop assistant knew they were produced in Cornwall, again I had to take to their website to find the details and this rare breed South Devon Red herd are just a few miles away at Menheniot on Tregondale Farm. This prize winning Tregondale Herd of 240 South Devon Cattle traces its pedigree history back to 1947. This long established and successful herd are well known award winners at major and local shows including society sales and herd competitions. This recognised native breed provides excellent eating qualities, finely grained and marbled succulent beef. Tregondale South Devon Beef is naturally fed and produces a high quality premium meat from a traditional breed that tastes great. Although not the cheapest burgers, the burgers are delicious made from the tasty shin cut. The price does however compare favourably with an Asda extra special steak burger which is £1.87. I asked another assistant in the green grocery to signpost me to produce that was produced locally. He was only able to suggest Cornish new potatoes and usually they would have Tamar Valley Strawberries but could not get hold of any currently. I found this disappointing although most produce was English. 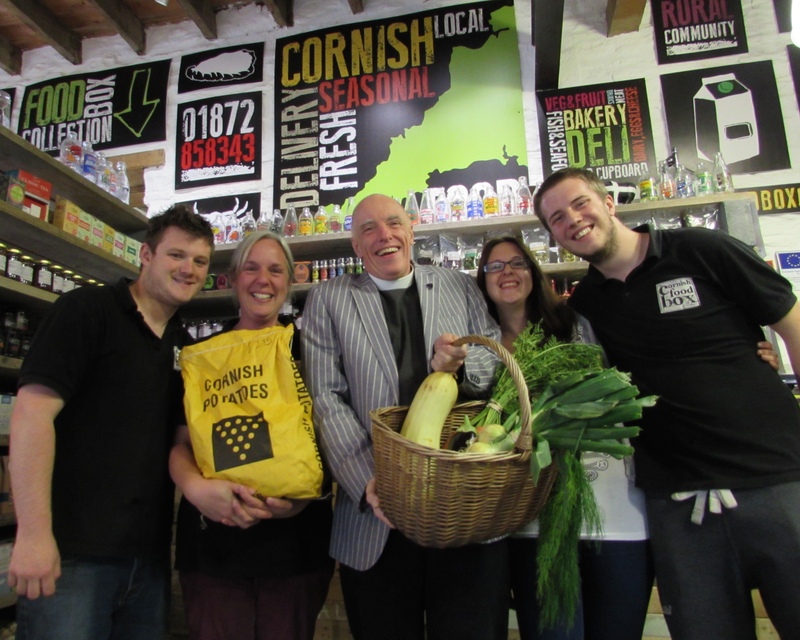 Why isn’t Cornish produce being stocked? Is it price or availability? Or are others just more adept at getting produce to market? In attempting to source my meal from local seasonal produce my last purchase was some artisan bread rolls which came from a bakery in Devonport, Plymouth. No early Summer meal would be complete without some strawberries and cream. A stroll further down the quay to Pengelly fishmongers and I find Cornish soft fruit for sale including Tamar Valley Strawberries. Combined with Rodda’s Cornish Clotted Cream from the Co-op my mission was nearly complete. The display of locally caught fish was breath-taking and the Pengelly family take such pride in the quality of their produce and service. In keeping with my easy cook meal I purchased Looe caught haddock fish cakes made on the quay at £1.50 each. You may have to pay a little more and go out of your way to find it but the quality is superior and the buying experience definitely much more pleasurable. 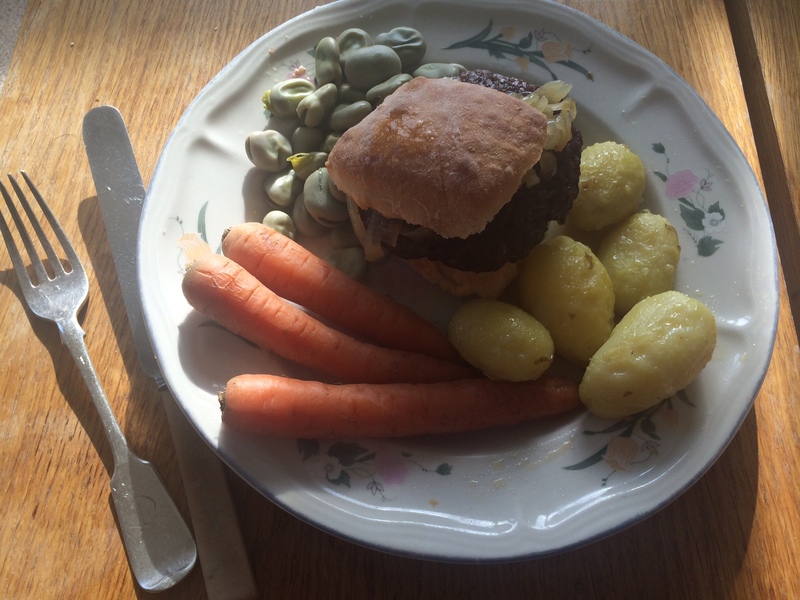 South Devon beef burger with caramelised Keveral Farm organic onions in a Devonport Bakery artisan bread roll, with minted (from my garden) Cornish new potatoes, Keveral organic broad beans and carrots. Pengelly’s Haddock Fishcakes with Cornish new potatoes and salad leaves, beetroot and cucumber. Tamar Valley strawberries with Treleavans vanilla ice cream, made in Looe. 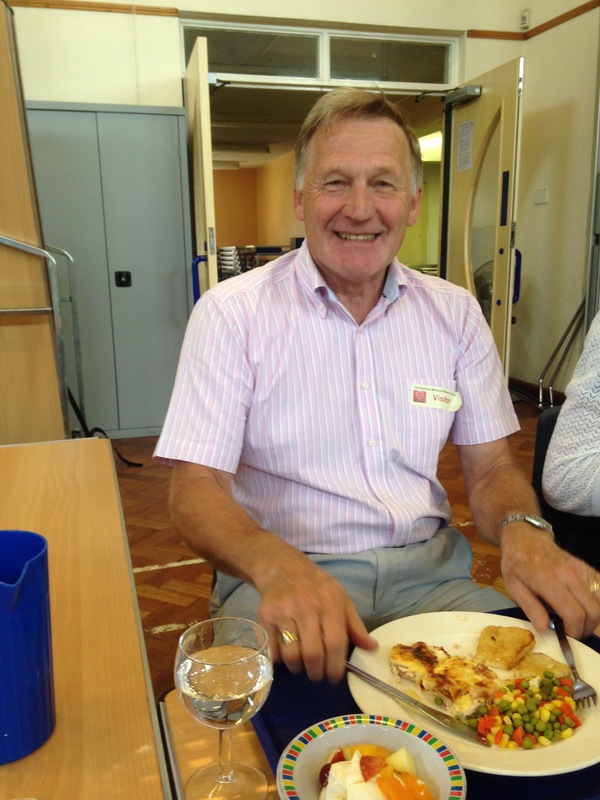 “Our current utilities contracts were complete so I was able to change to a Green Tariff. After a little internet research via the “Which” Switch website and filling in various online forms, I talked to a consultant as a result of which, we have taken out a new 12 month contract with “Ovo” for our gas and electricity, which includes a 100% green electricity tariff. The website claims that this will save us £46 per year compared to our current contract, but this is not easy to verify since we pay by standing order and have built up considerable credit. 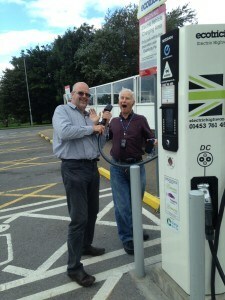 We’ll wait and see about this and about how smoothly the switch goes, but are glad to be able to be on a green tariff. “If anything, this pledge made me realise that my current carbon footprint and the way I live my life is more like a giant pair of waders! I found it difficult to complete even this simple task, but it has made me realise that if I am to succeed in this challenge, I need to be more efficient and organised with my time and plan longer- term. “I have been away quite a bit. I was in York University for the meeting of General Synod I was staying in James College. 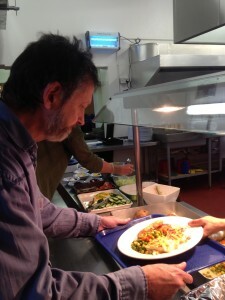 I asked the staff if the food we were being served was locally produced and sourced. They introduced me to the Head Chef Adam Thur who told me that most of their food was locally sourced and produced and took me through the various foodstuff and where they came from. He was very helpful. I then went to Sheffield and stayed at the Church Army Centre Wilson Carlisle Centre and asked boss Mark Russell about their food and again he was able to say the majority of it was locally produced and I met the chef who explained their policies. “Two meals a week using local produce, I found much harder, and I’m not sure I made it – but I am taking baby steps! I’m really busy, juggling work and family, so I tend to shop for convenience. That usually means supermarkets – but I shop little and often at the Co-Op (very ethical) in town, rather than driving to a big supermarket and buying loads of stuff (including impulse buys, and food which might get wasted). And I try to buy British wherever possible, avoiding produce that’s been transported across the globe if UK alternatives are available. The survey is now complete and in peoples inboxes awaiting the light! Having completed pre-surveys to gauge the kind of answers people might provide when questioned about the Top Ten Pledges, we looked at how we were going to break down the answers to match the carbon saving data we have available in the time frame and within the budget. At this stage we could spend FOREVER looking into the many interesting aspects of the where’s and why’s but what we have to focus on now, for the good of the whole project is to find out what people really need to know – at what cost was it successful and establish it in a robust manner. So we capture what activity people DID as a result of the Footsteps 2009 Project, completing those Top Ten Pledges via the campaign that cost £6k and took 4 months. So far, it is looking good. So much is squeaking out of the data dying to be evaluated. We can later. This can be revisited. For now, we want to see if we can stand up and say “Give weight to behavioural change, it is possible, it just requires trusted messengers, easy requests and to be colourful and fun”. We think we can. Risks: Our contact data is 6 years old! Our only problem is that some of the email addresses don’t exist anymore… If you remember anyone telling you they had done the pledges, please let them know, as they are GOLD DUST, we need them to complete the survey by July 31st too. 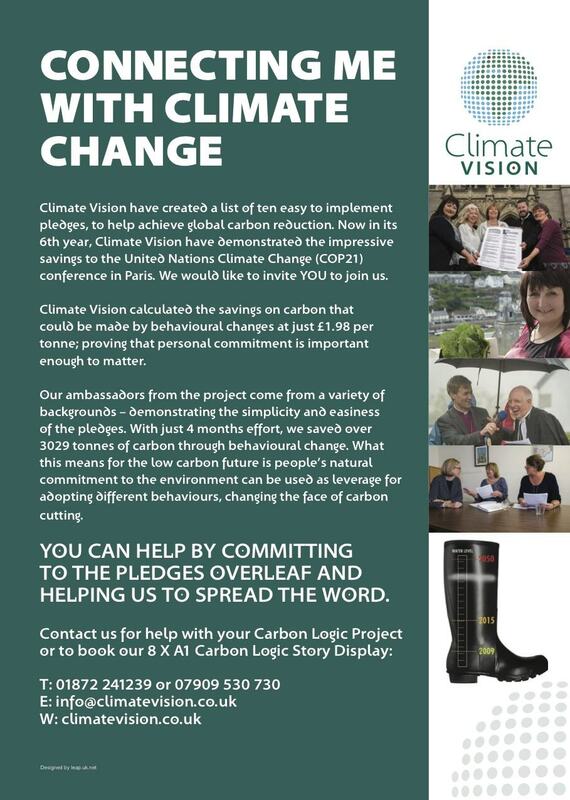 Please do ask them to call 01872 241239 or email luci@climate vision.co.uk Thank you! 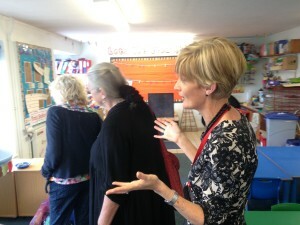 Mrs. Giblett warmly welcomed members from the Carbon Crowd at Arch Bishop Benson School. 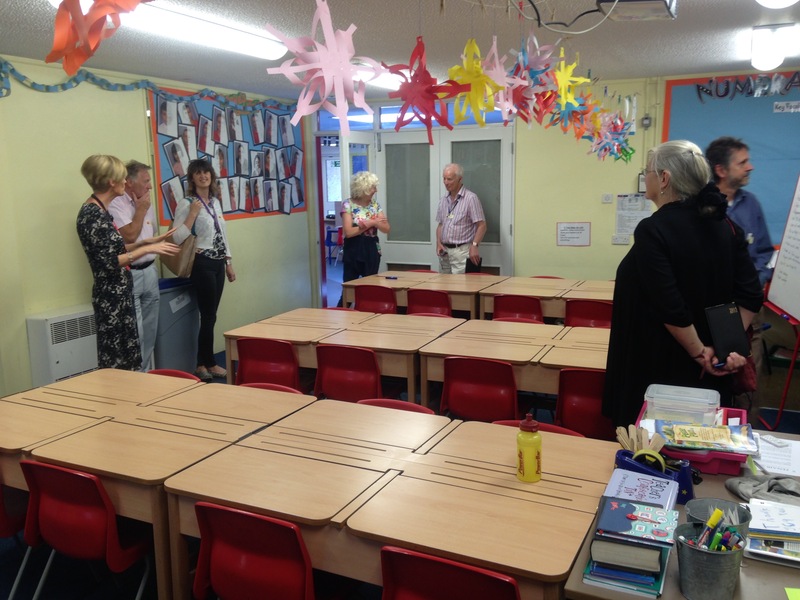 This fantastic reward not only enabled everyone to have a look into a day in the life of a school head but to enable discussions to be had regarding each members interests. In the Head’s office, over a coffee a fascinating discussion took place and so many views on interesting topics were exchanged. 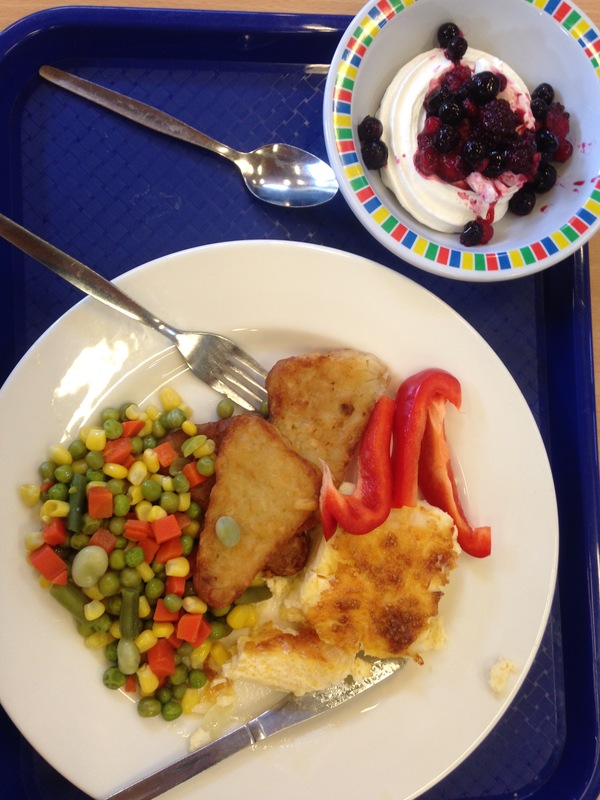 A tour of the school to include new plans was followed by a sensational school dinner! I think 50% of the those in attendance came because of the school dinner opportunity! 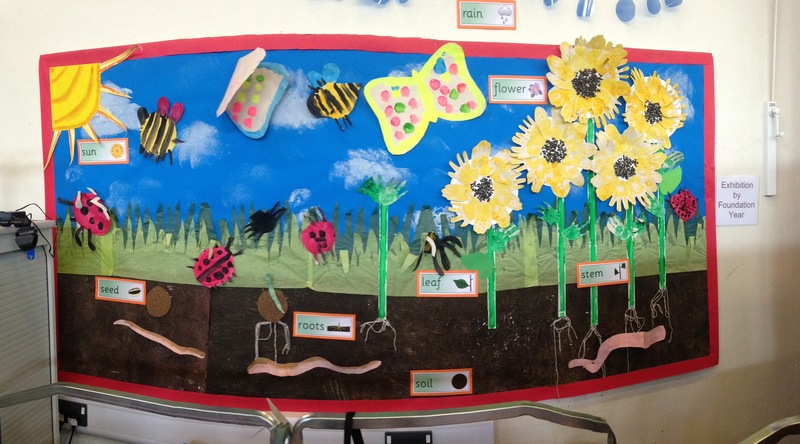 Feedback has been fantastic, an opportunity to have deep insight into a 5 year olds world and how that translates into growing and then being prepared for 11 onwards, was humbling. 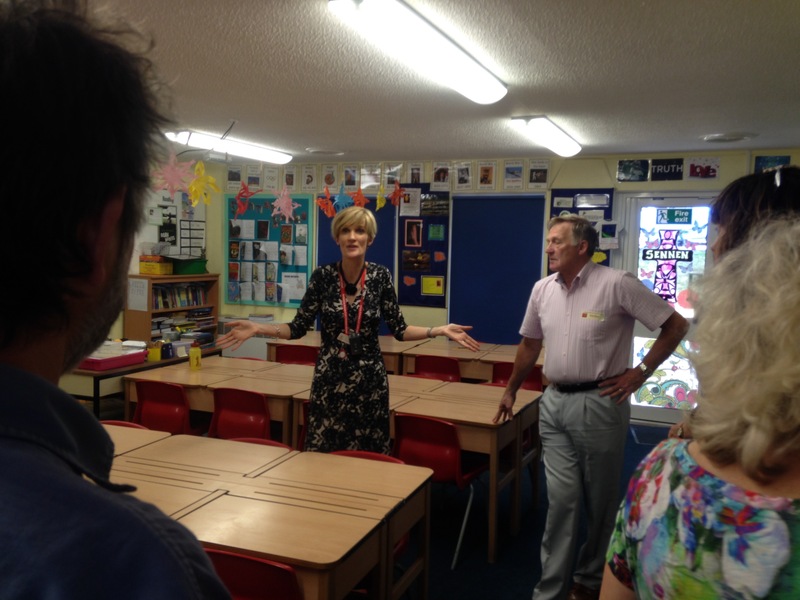 A great Head teacher, embracing the hurdles of cut backs, government changes, climate changes combined with demands on family life, yet managing to be amongst a sea of smiles and wonderful attitudes leaving us all wishing we could go back to school!